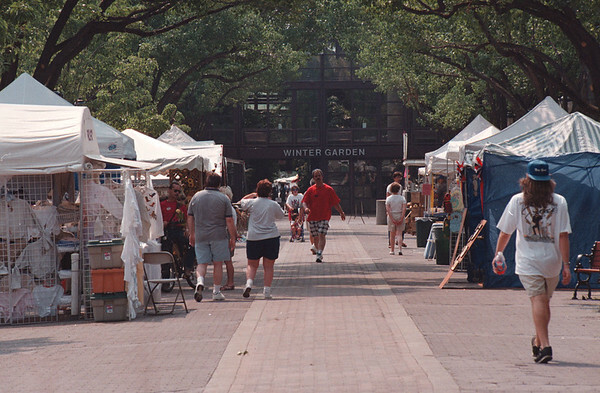 7/2/97--CRAFT FAIR--DAN CAPPELLAZZO PHOTO--CRAFT GOERS MAKE THEIR WAY DOWN THE EAST MALL (BETWEEN 3RD AND RAINBOW BLVD.) THROUGH THE CRAFT TENTS. THE CRAFT SHOW WILL BE GOING ON UNTIL JULY 5TH.